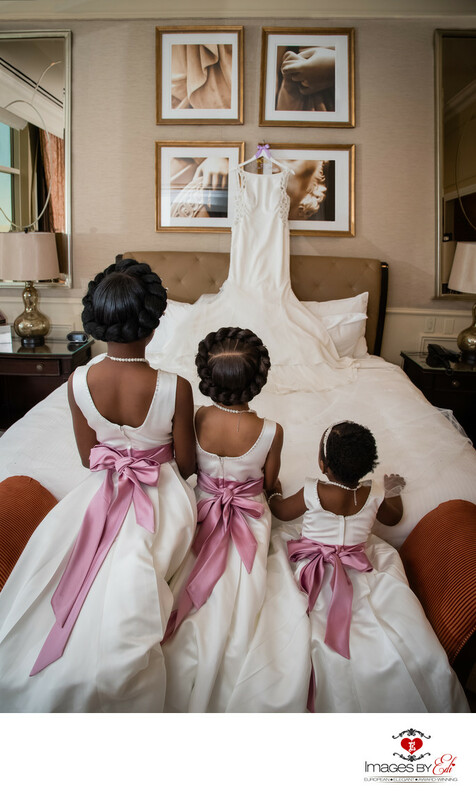 This cute photo was created at the Venetian Hotel Las Vegas, when the bride was getting ready and her little flower girls climbed up on the bench and was amazed by her dress. Perfect opportunity for a candid photo. The couple got married at the Venetian Hotel wedding chapel, than we headed to the elegant and sophisticated event space, the Chandelier Banquet Hall for their reception. Location: 3355 S Las Vegas Blvd, Las Vegas, NV 89109.